Designer Kate Spade, one of the biggest names in American fashion, was found dead on Tuesday in her New York apartment after committing suicide. She was 55. Kate Spade arrives at the Council of Fashion Designers of America awards in New York on June 2, 2003, at the New York Public Library. 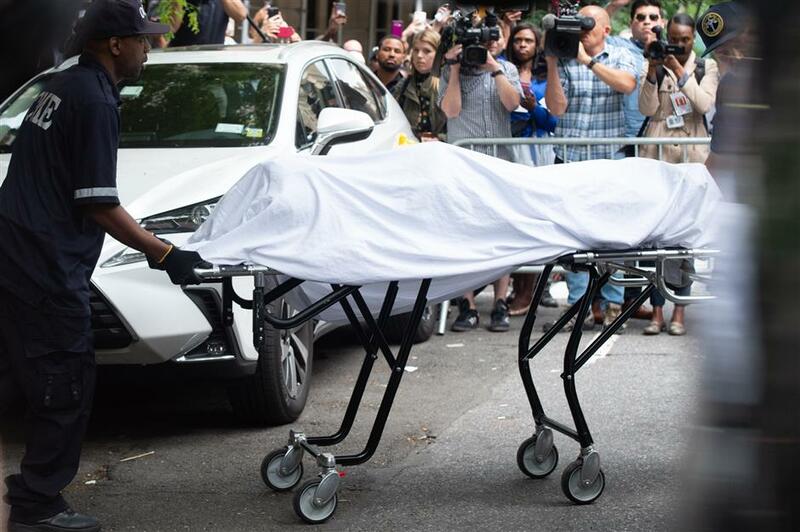 The body of fashion designer Kate Spade is removed by New York City Coroner's Office personnel after she was found dead at age 55 at her Park Avenue apartment on June 5, 2018, in New York. Designer Kate Spade, one of the biggest names in American fashion especially known for her sleek handbags, was found dead on Tuesday in her New York apartment after committing suicide. She was 55. A police spokeswoman confirmed Spade had killed herself but told AFP the exact circumstances of her death were not yet clear. A source close to the investigation said she hanged herself in her Park Avenue apartment and left a suicide note. Spade's family said in a statement that they were "devastated by today's tragedy" and would "miss her terribly," asking for privacy. She is survived by her husband and teenage daughter. Tributes to Spade poured in from celebrities, the fashion world and everyday women who admired her quintessential American style, which had a sophisticated yet playful vibe. The Council of Fashion Designers of America hailed Spade's work. "She was a great talent who had an immeasurable impact on American fashion and the way the world viewed American accessories," said a statement from CFDA board chairman Diane von Furstenberg and CEO Steven Kolb. 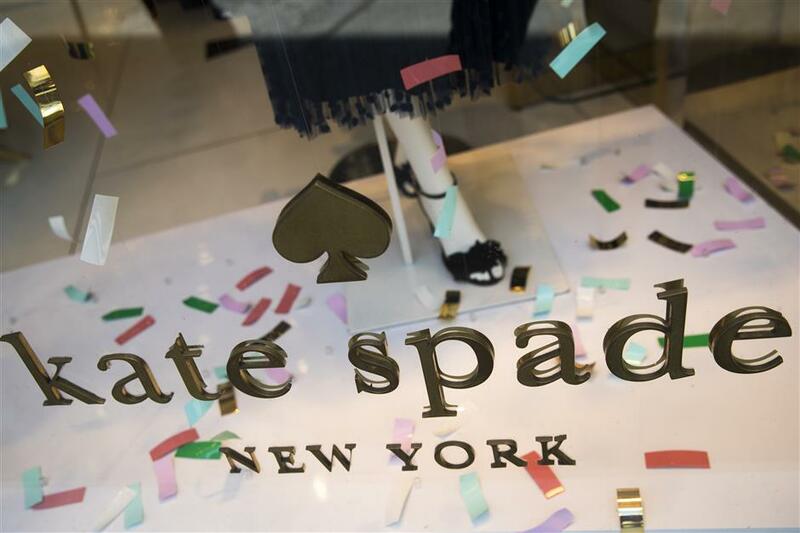 A Kate Spade logo is seen on a Madison Avenue storefront City after fashion designer Kate Spade was found dead in her apartment of an apparent suicide on June 5, 2018, in New York City. Spade — a Missouri native who first worked as a journalist, including a stint as accessories editor at Mademoiselle magazine — launched her eponymous fashion label in 1993 with her husband Andy and the help of outside investors. Her cheerful use of bright colors and prints proved a hit with career women. The brand, initially sold in several New York stores, opened its flagship in the city's Soho neighborhood in 1996. Her designs represented the New York aesthetic — a mix of modern and classic. It was so associated with the city that she eventually added its name to her label, Kate Spade New York. Her most famous handbag was the "Sam" — a black mid-size rectangular bag. Generally, her handbags were stylish but not ostentatious. The "Sam" was relaunched this year by the label in new prints and colors. Beyond the label's signature handbags, Spade was also known for shoes. It later branched into ready-to-wear, after she had left the company. In 1999, Spade ceded a majority stake in her company to high-end department store chain Neiman Marcus for US$34 million. NM then sold the label to textiles giant Liz Claiborne. Spade then sold the last of her shares in the company in the mid-2000s for another US$59 million, and was no longer directly associated with the management of the company bearing her name. In 2017, Coach (now Tapestry) bought the Kate Spade label, the last remnant of Liz Claiborne, in a deal worth US$2.4 billion. Over the years, the label had blossomed into a full lifestyle brand with more than 300 stores worldwide and sales of US$1.38 billion in 2016. The company offered its condolences, calling Spade a "visionary," and saying: "We honor all the beauty she brought into this world." In the past few years, Spade — born Katherine Brosnahan — had launched a new accessories label, Frances Valentine. Former first daughter Chelsea Clinton was among the many offering condolences to Spade's family on Twitter. "My grandmother gave me my first Kate Spade bag when I was in college. I still have it. Holding Kate's family, friends and loved ones in my heart," Clinton said. Actress Lena Dunham said: "Kate Spade was more than a designer. She had a quirky visual language that captivated Bat Mitzvah girls and artists alike. "She was also a staple of NYC who spread good will. My heart breaks for her family. Thank you, Kate, from one of the millions you made feel beautiful." Several admirers like Ivanka Trump highlighted the importance of suicide helplines and seeing the signs of depression. "Kate Spade's tragic passing is a painful reminder that we never truly know another's pain or the burden they carry. If you are struggling with depression and contemplating suicide, please, please seek help," Trump tweeted. Robert Dicker, a psychiatrist and associate director at the Zucker Hillside Hospital in New York, told AFP that celebrity suicides were often followed by an uptick in attempts. "We want to be sure that people understand that there is help that is available," Dicker said. 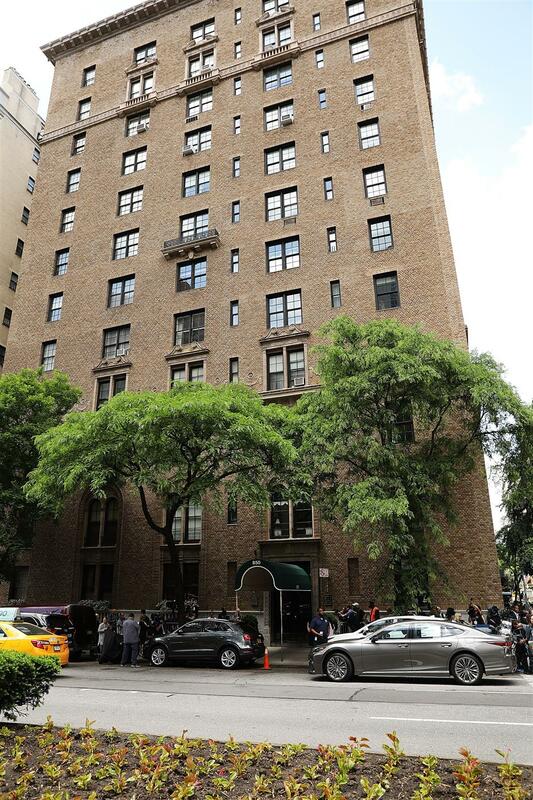 The building where the body of fashion designer Kate Spade was found in her apartment of an apparent suicide is shown on June 5, 2018, in New York City.